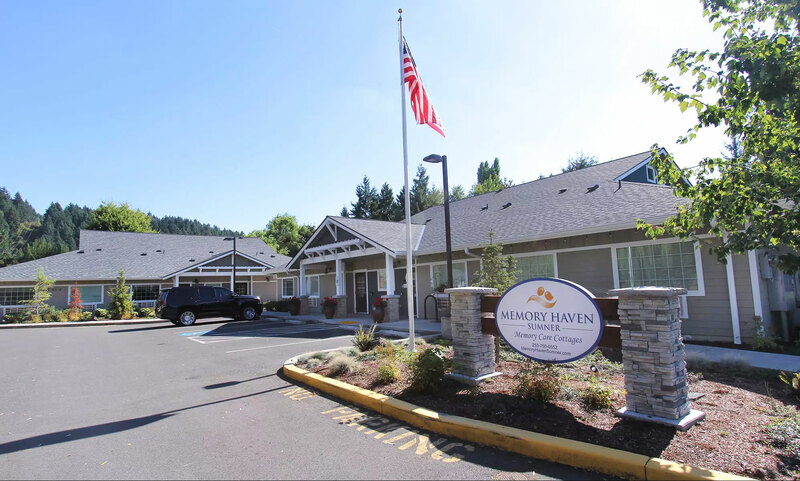 Contracted by our long-term client, AustinCina Architects generated a phased plan for the development of a two unit cottage-style memory care residential facility. In contrast to the institution feel of a traditional linear facility, each 13-bed single story cottage is arranged with the residential rooms along the perimeter of the structure, revolving around a central core consisting of the living and social areas. Mirroring a traditional home, this central area also includes kitchen, dining and recreational spaces allowing the residents to feel at home and involved in their surroundings and daily activities. AustinCina provided full architectural services for this project from schematic design through to construction administration for the project.